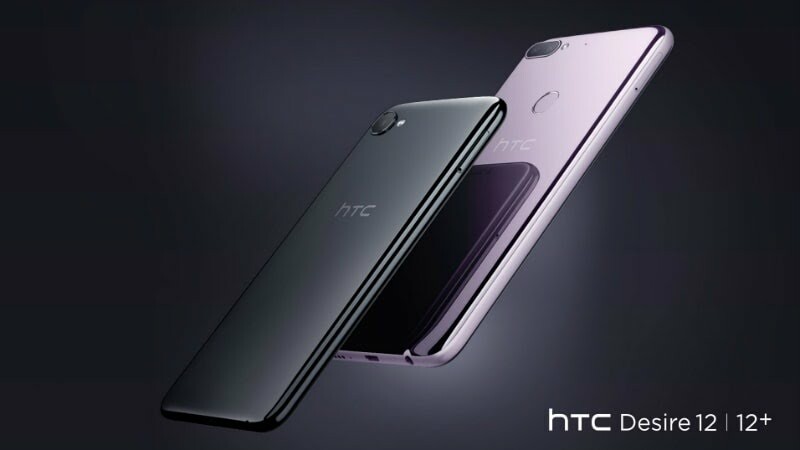 While we are waiting for HTC's upcoming flagship device for this year which is the HTC U12+, the Taiwanese smartphone manufacturer has decided to release two new budget beasts which are the HTC Desire 12 and HTC Desire 12+ (Plus). The "Desire" smartphone range used to be HTC's flagship range but it now defines the company's midrange devices. Both the Desire 12 and 12+ shares similar design language as last year's flagship "U11" with an 18:9 screen ratio. The Desire 12 sports a 5.5-inch HD+ IPS LCD display while the 12+ also features the same IPS panel but with a more larger 6-inch display. Both devices features curved egde design and an optimised glass back just like on the HTC U11. The HTC desire 12 is powered by Mediatek MT6739 Quad-Core processor clocked at 1.3GHz while the HTC Desire 12+ is powered by Qualcomm's Snapdragon 450 chipset. The Desire 12 is available in 2GB and 16GB storage version or the 3GB and 32GB version while the Desire 12 Plus is available in 3GB and 32GB storage option only. The HTC desire 12 comes with a 5mp front shooting camera and a 12MP rear facing camera. The desire 12+ on the other hand is equipped with dual rear facing camera setup of 13MP + 2MP and a front facing camera with 8MP. For the battery, we have 2730mAh and 2965mAh respectively. Both devices will be available in black, lilac and gold colour options. In terms of pricing, we will don't know what the starting price of both smartphones will be but I guess we will have to wait until the official launch.